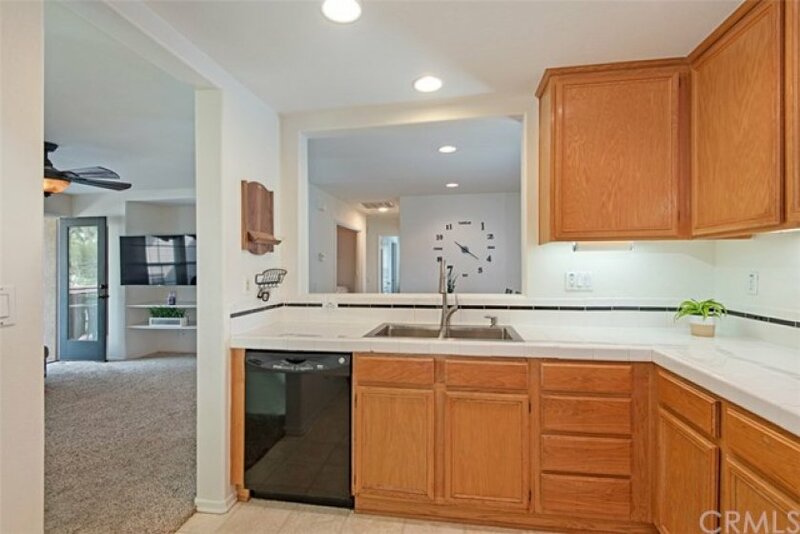 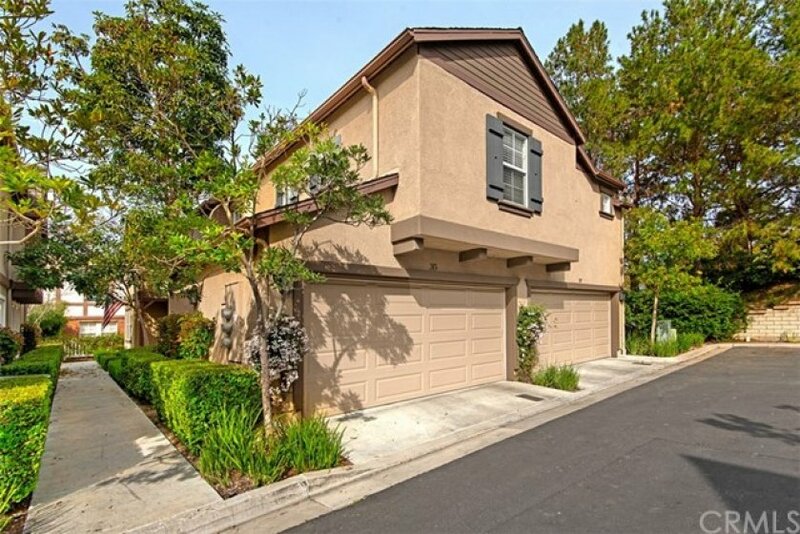 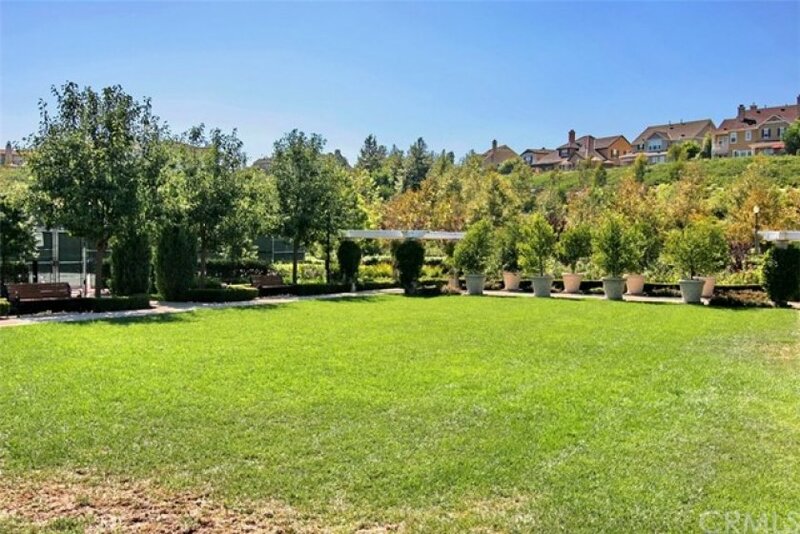 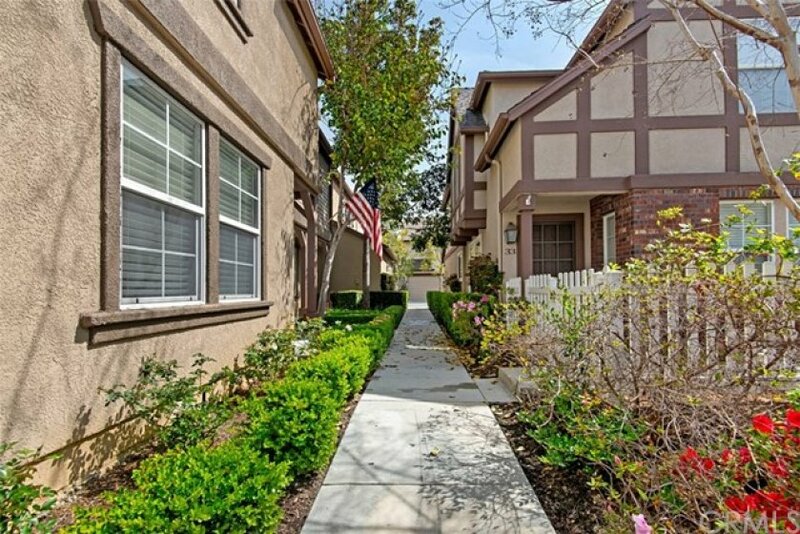 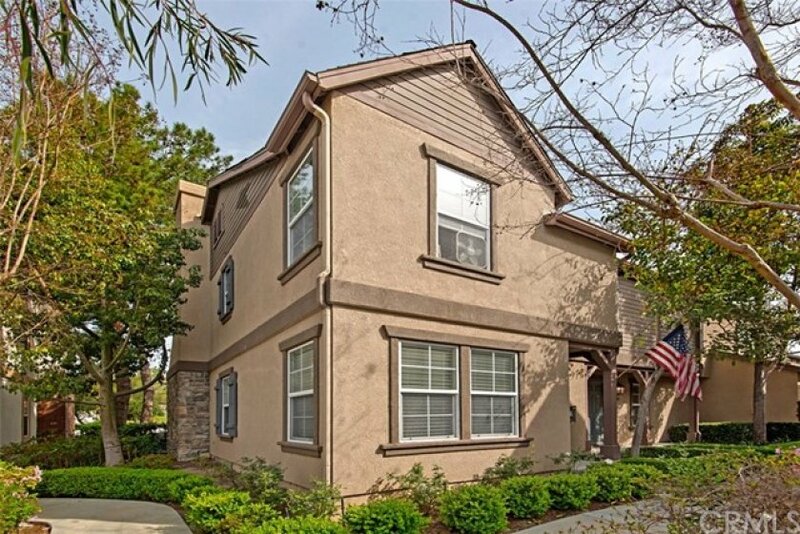 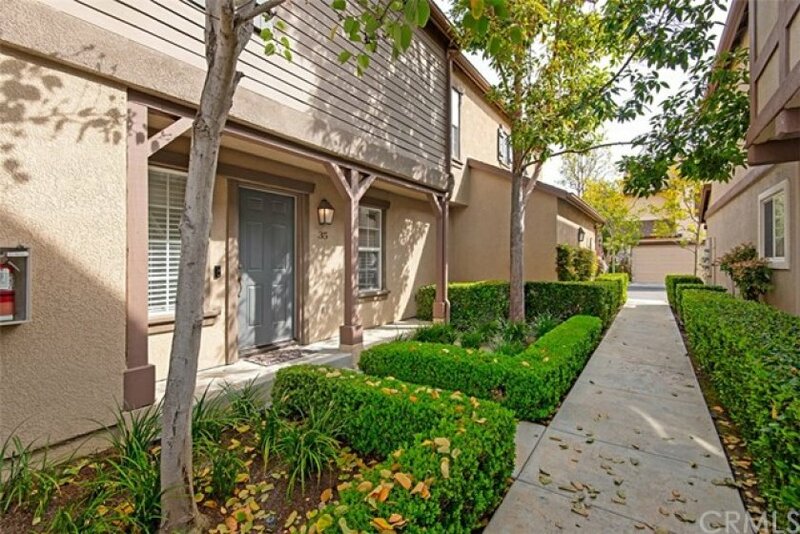 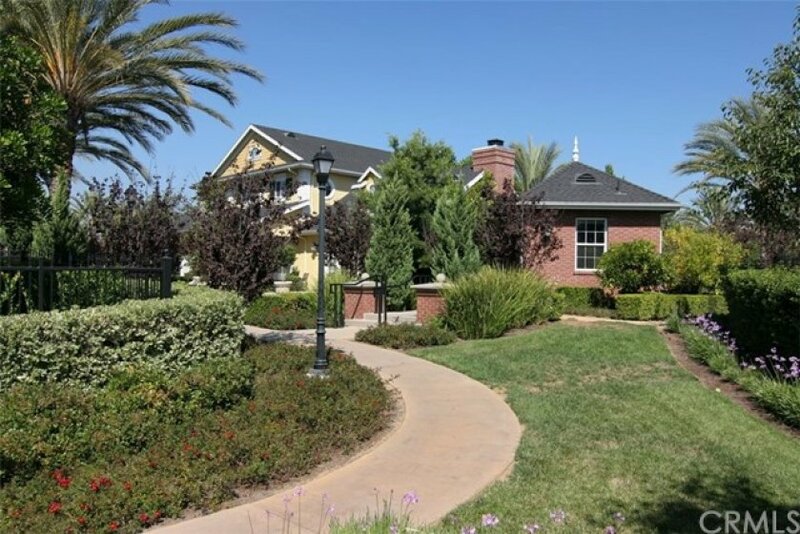 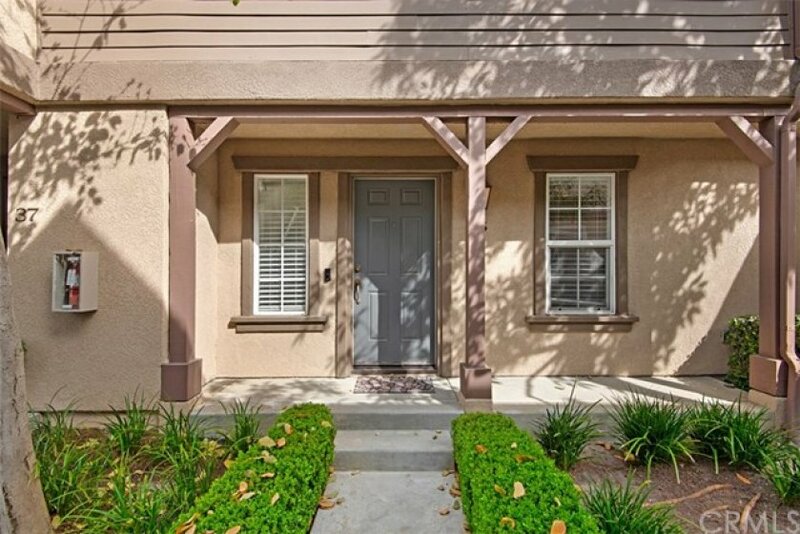 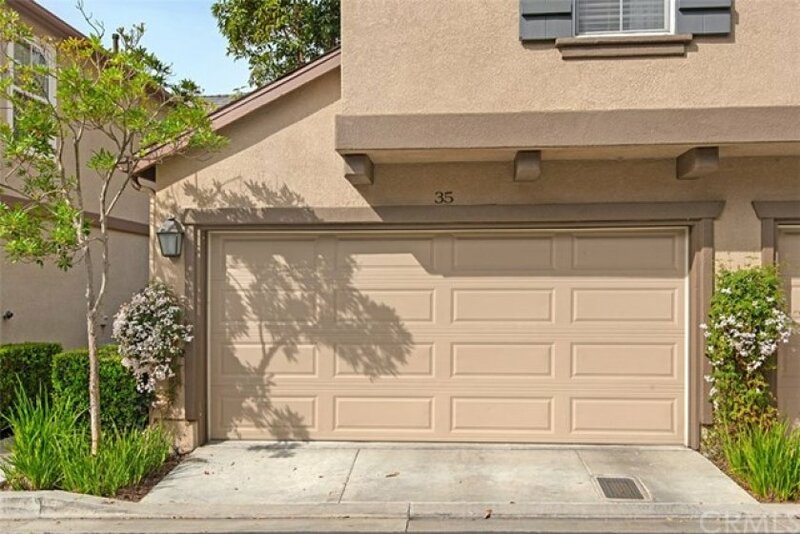 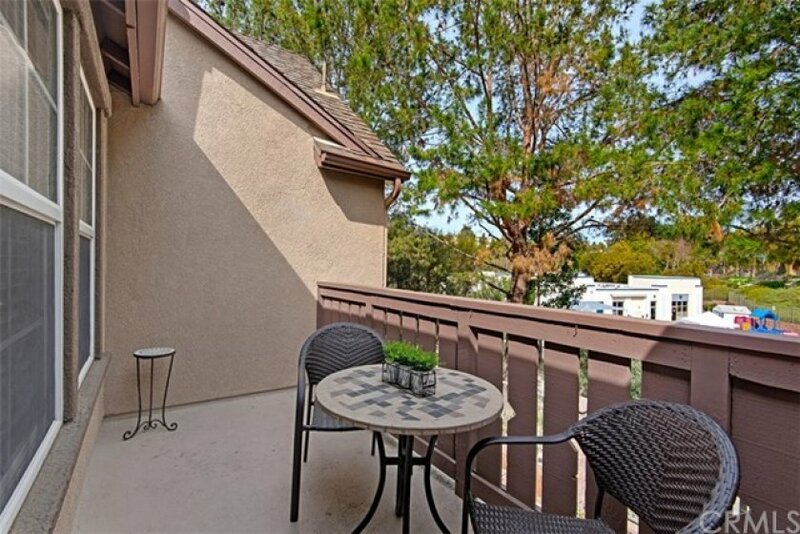 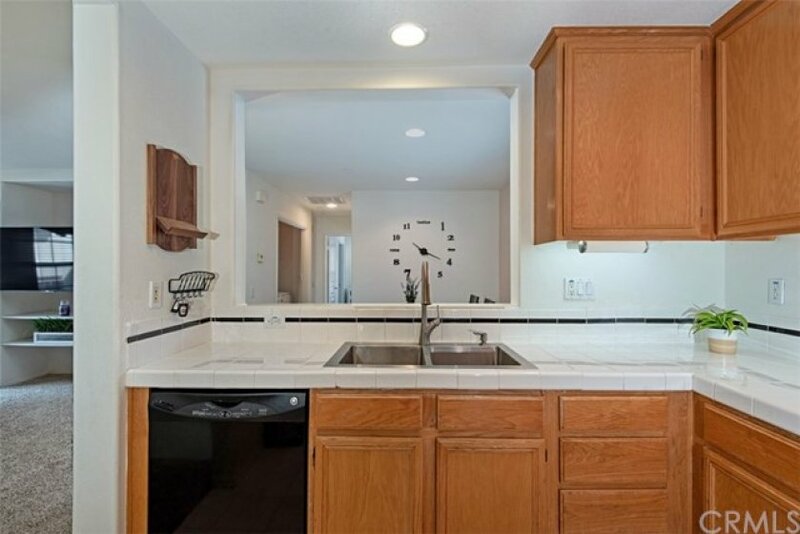 Rare opportunity to own this hidden gem in the Three Vines Community of Ladera Ranch. 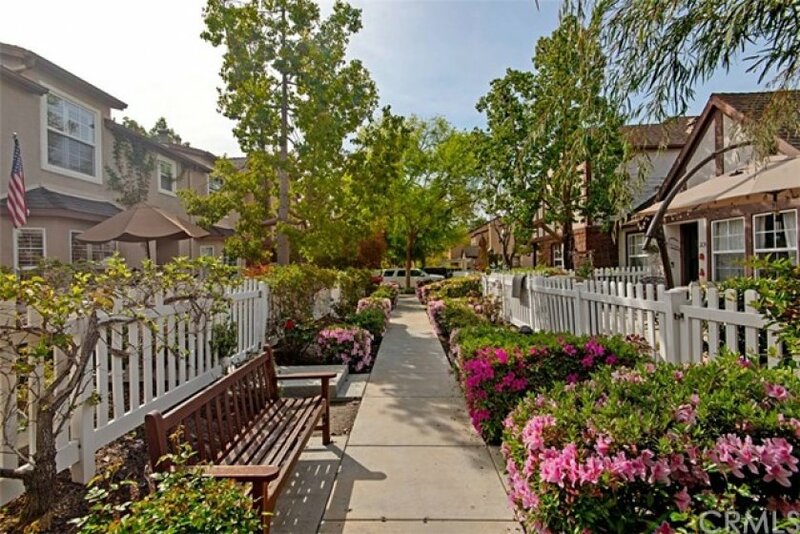 This 2 bedroom, 2 bath cul-de-sac home, is nestled amongst white picket fences and an abundance of beautifully maintained landscaping. 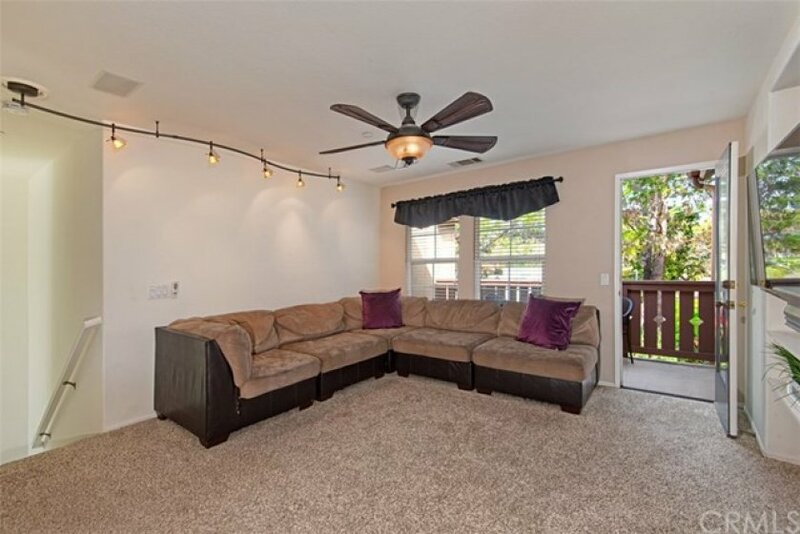 The first level hosts a bonus room, which can also be used as an office, playroom, or work-out space. 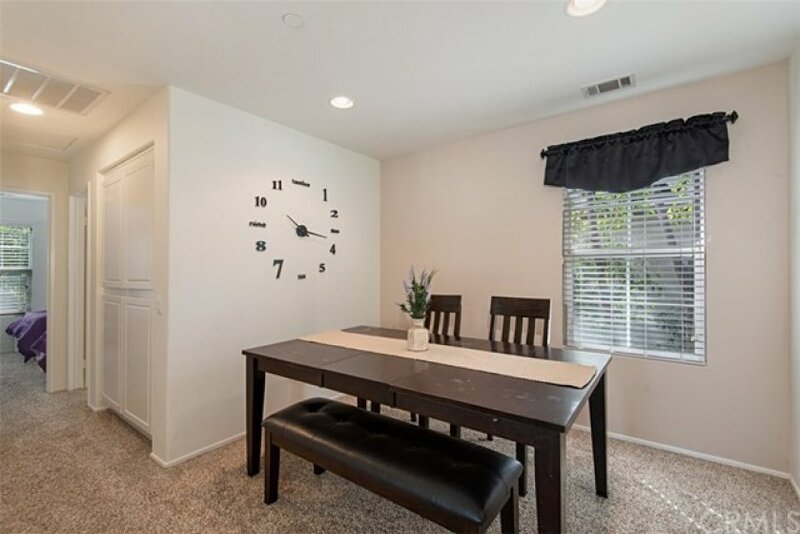 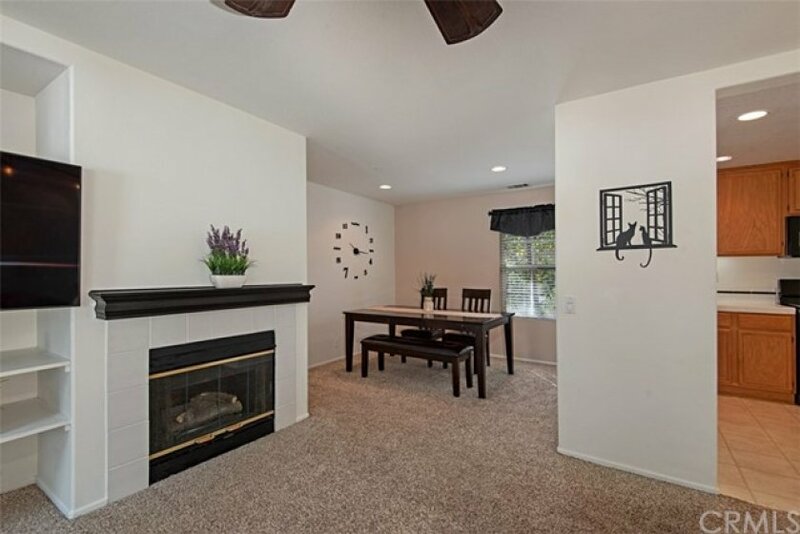 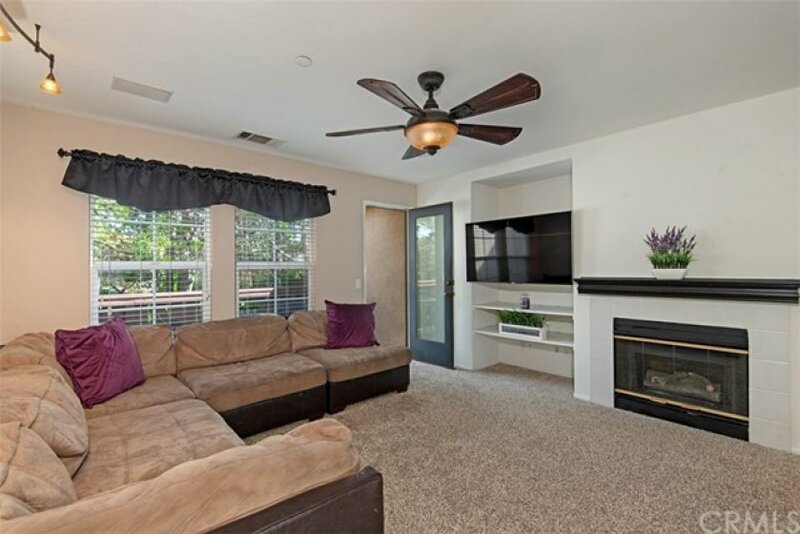 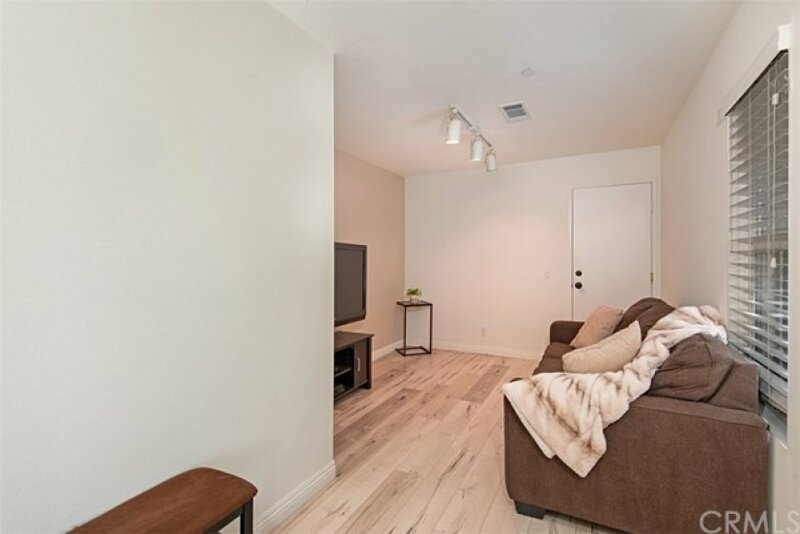 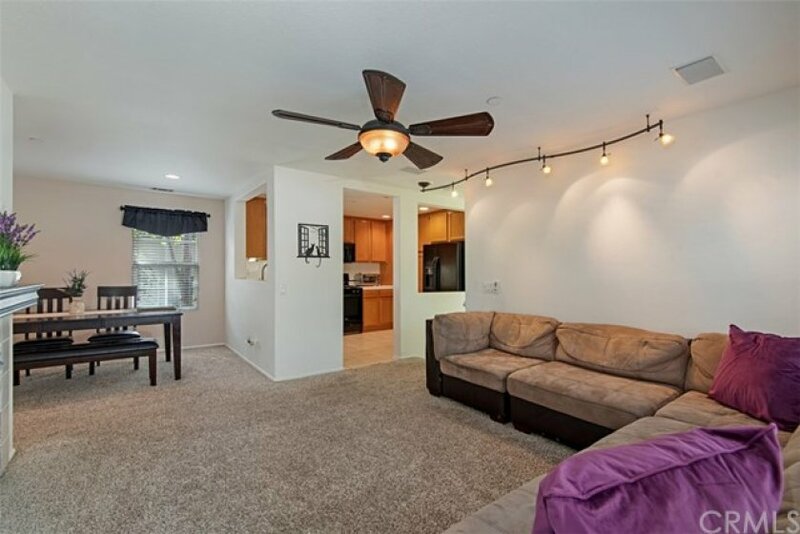 As you make your way to the main level, enjoy the bright open floor plan with a spacious family room complimented by a cozy fireplace, and inviting private deck overlooking the greenbelts. 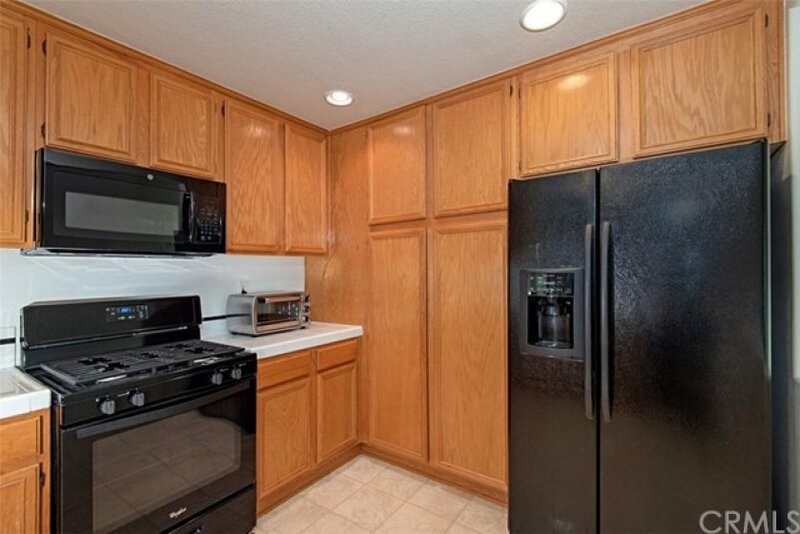 The kitchen comes equipped with all new freestanding range and microwave, upgraded farm-style stainless steel sink and plenty of cabinets. 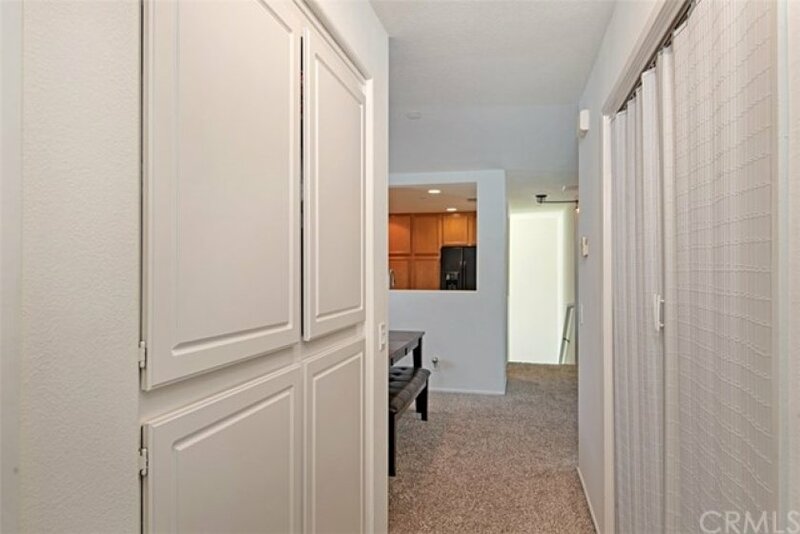 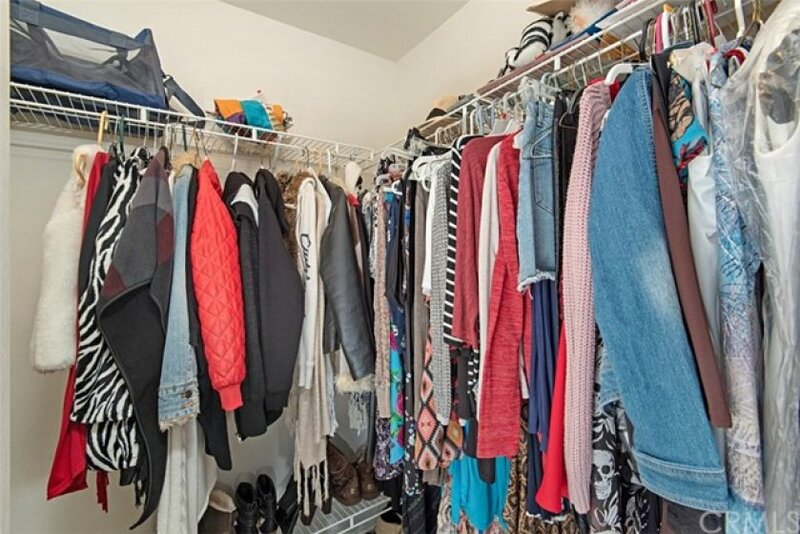 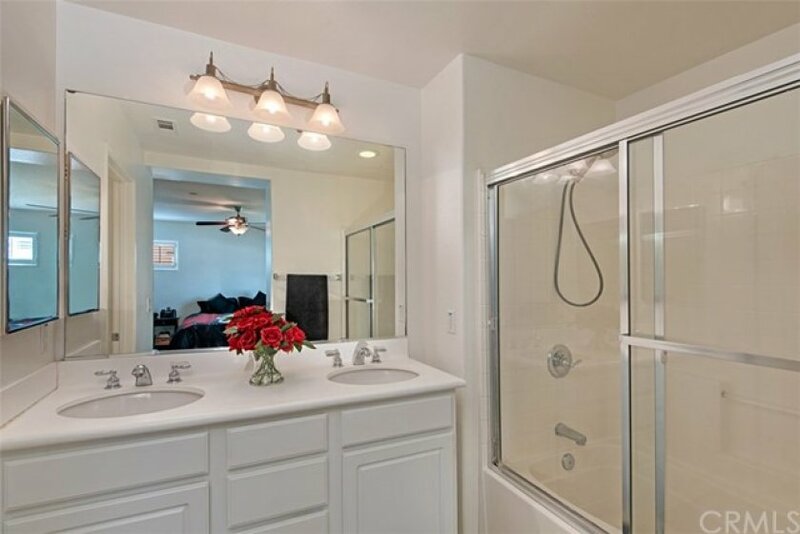 The oversized master bedroom has both a walk-in closet and mirrored wardrobe closet. 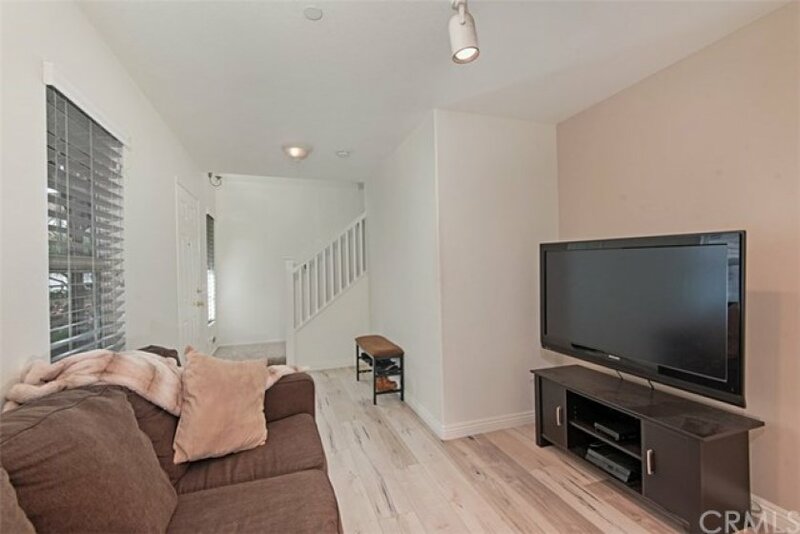 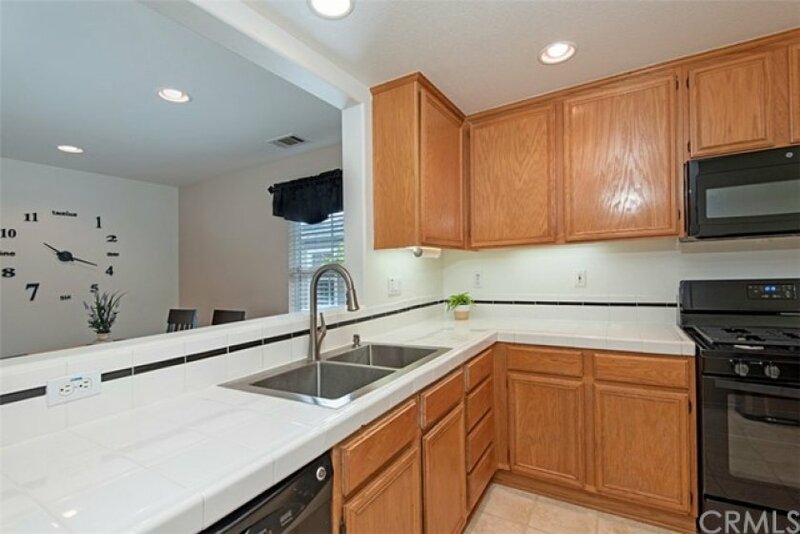 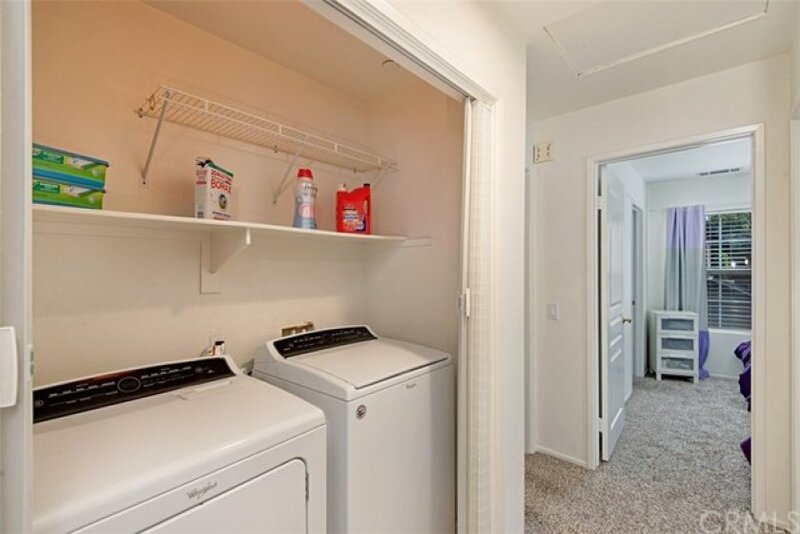 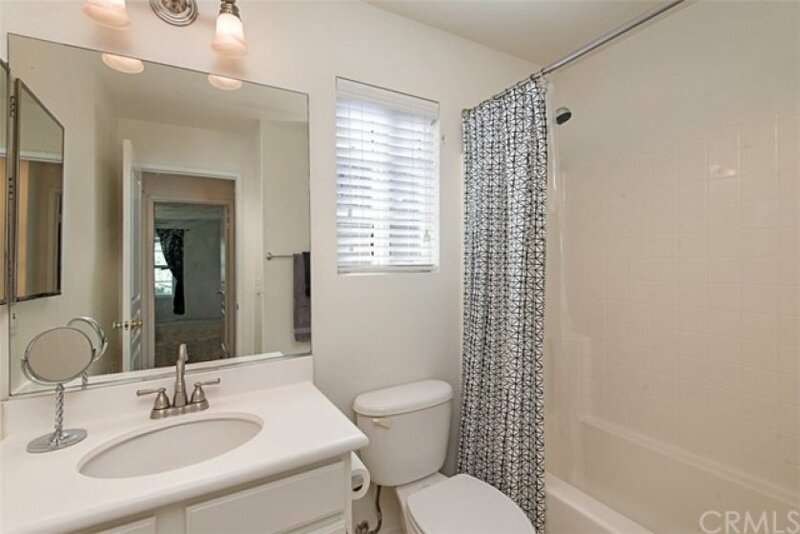 Washer and dryer are conveniently located on the main level of the home. 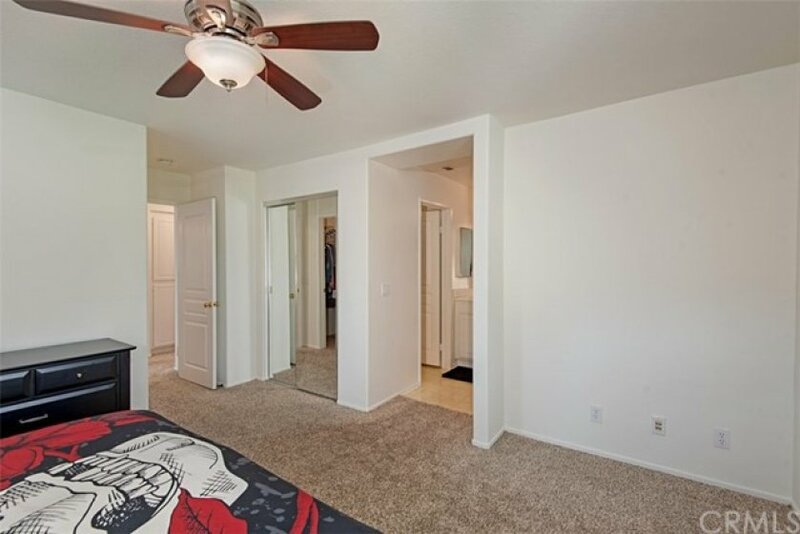 Freshly painted throughout. 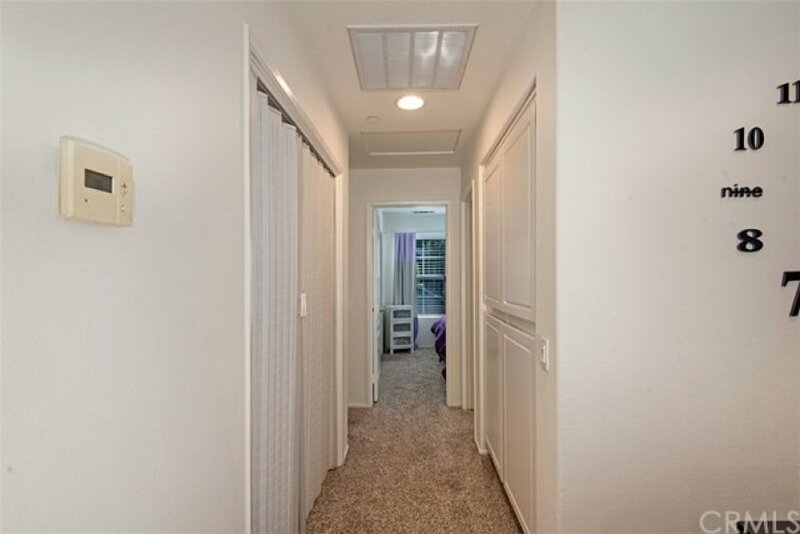 The two-car direct access garage includes overhead storage. 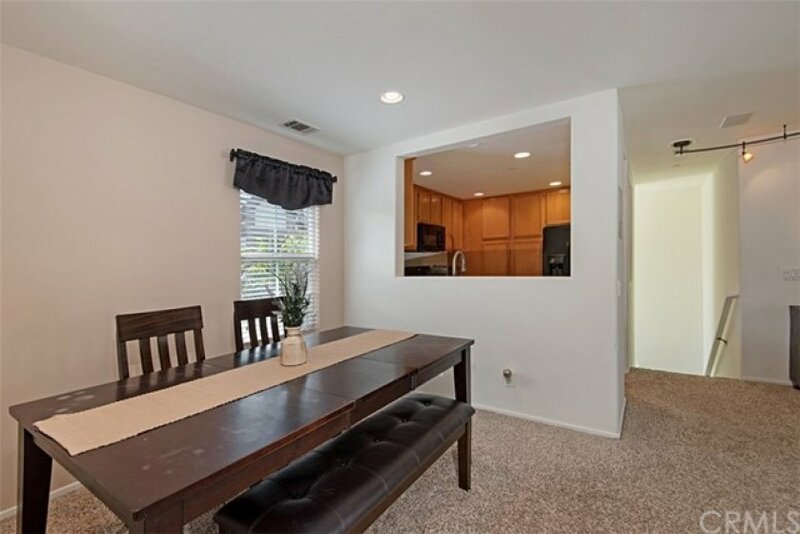 This home has only one shared wall and no neighbors above or below. 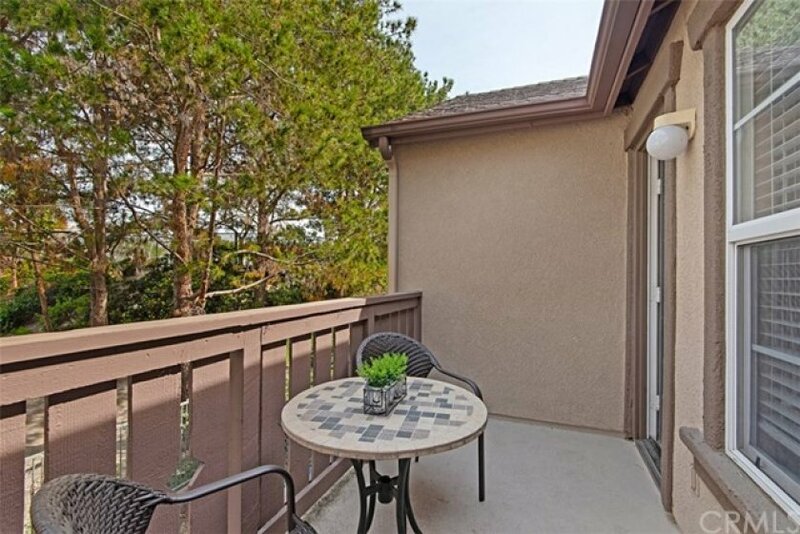 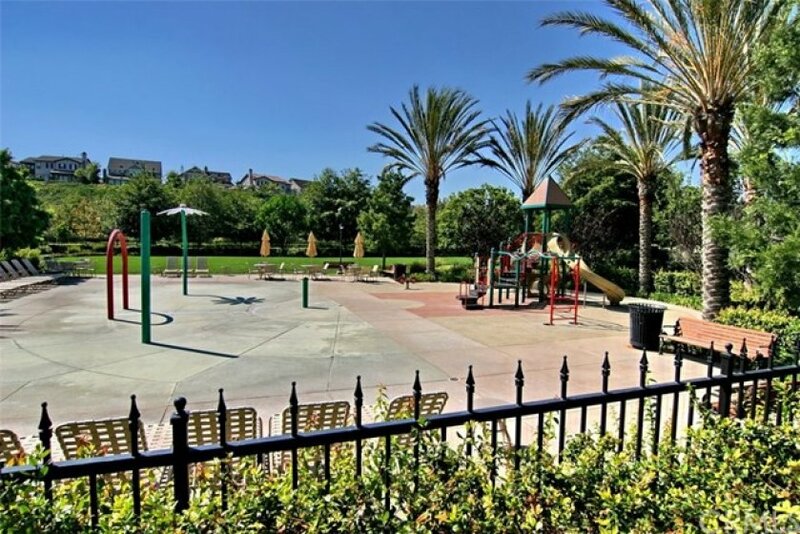 Centrally located with easy access to award winning schools and parks. 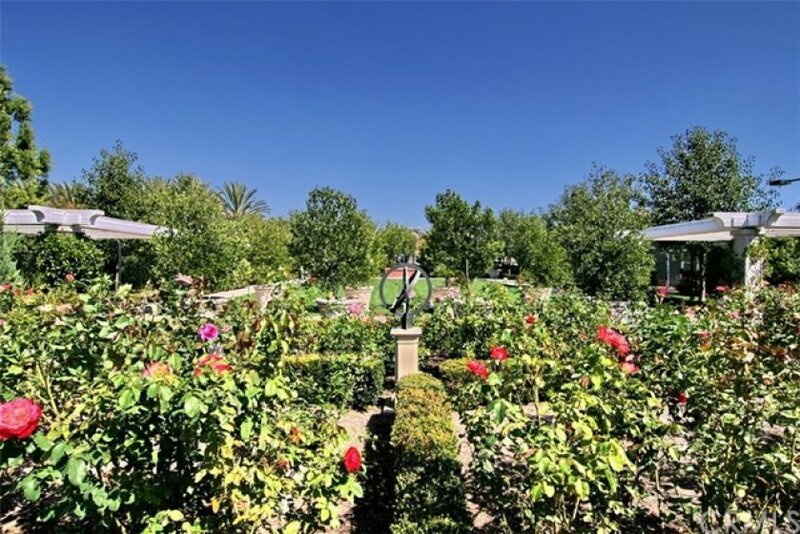 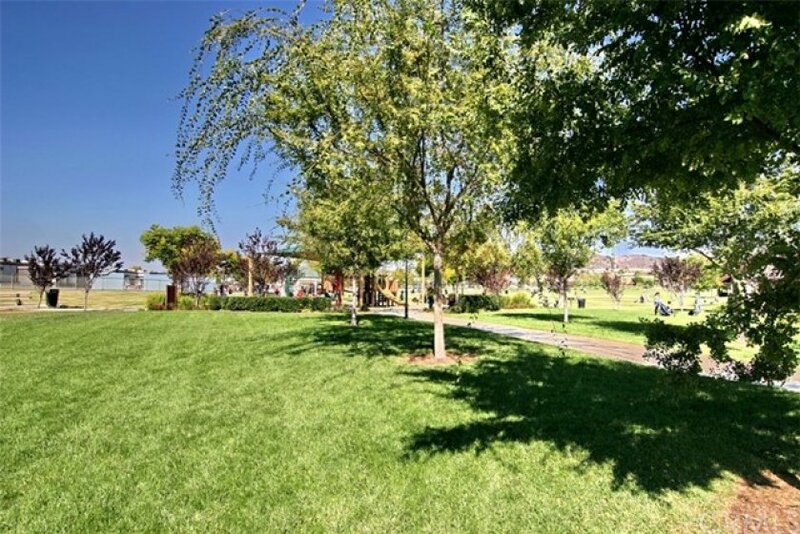 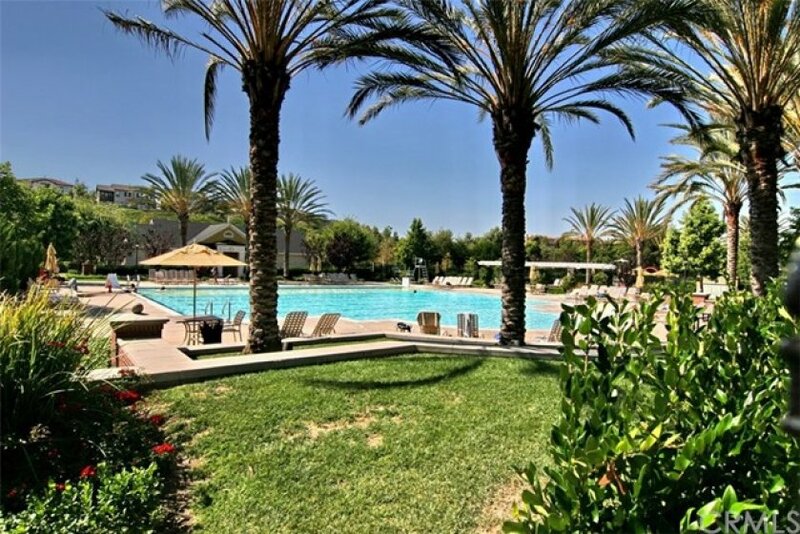 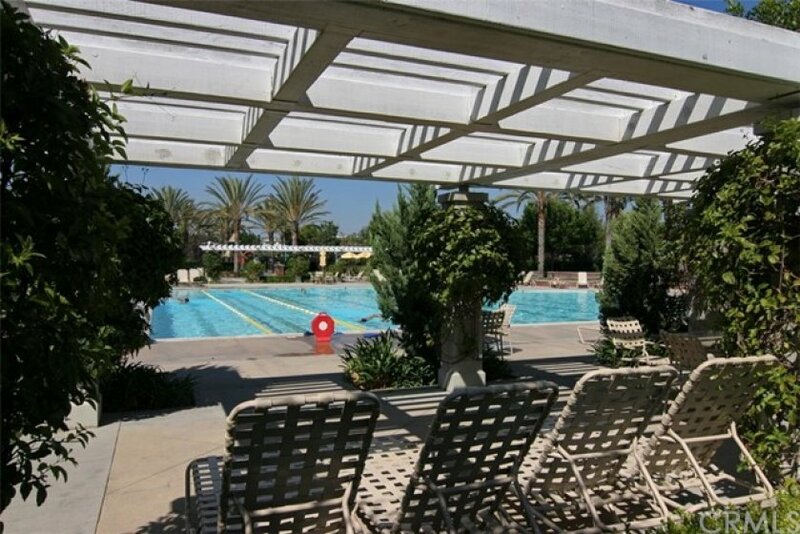 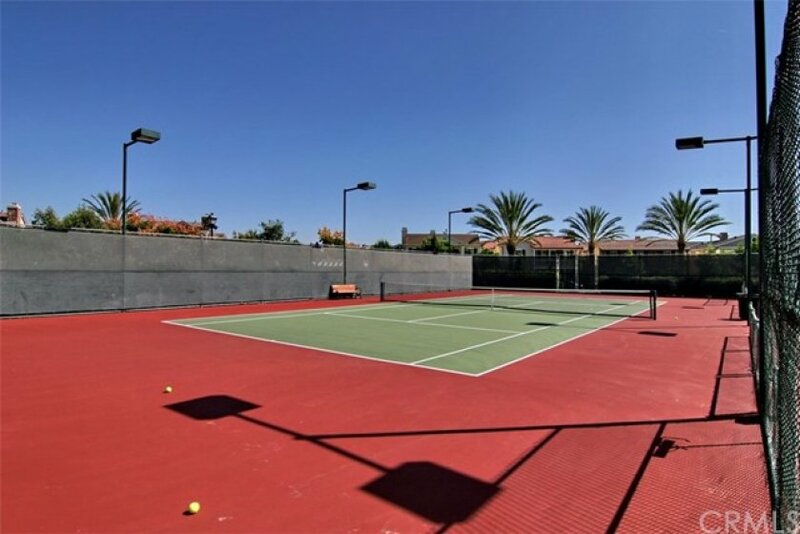 Ladera Ranch amenities include pools, water parks, clubhouses, sports courts, dog parks, skate parks, walking trails, and community events. 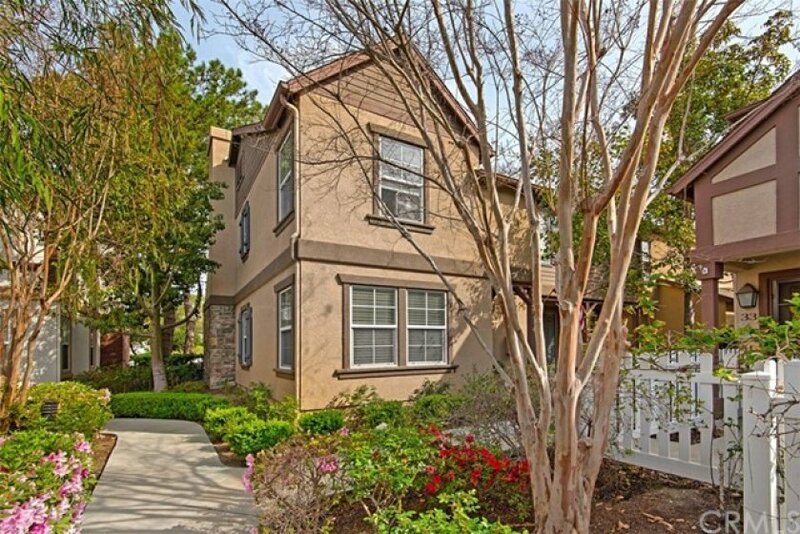 Welcome Home to 35 Three Vines Court!